Even after you've verified the need for custom software and selected the right custom software development company, it can be a challenge to assess just how the new solution is going to affect your business processes. Of course, every company that spends money on a custom software application does so in the hopes that it will see net benefits from the transaction, but determining the extent of those benefits isn't always easy. 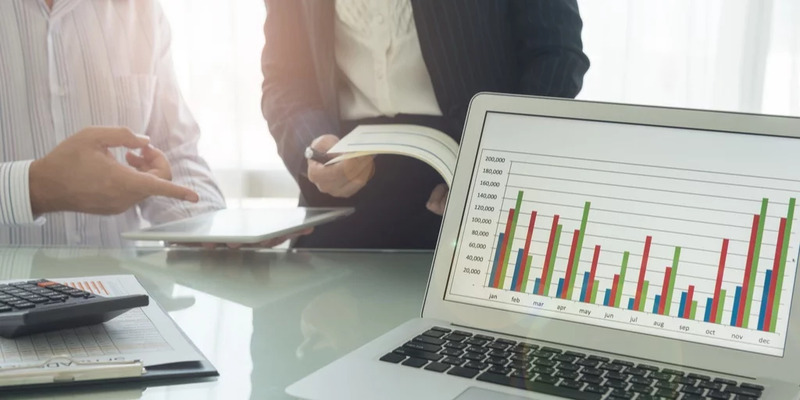 There are two matters when it comes to calculating the ROI of custom software development: the mathematical balance of profits against losses, and the "return on effort," which is about the "soft" factors and intangibles that can't always be pinned down with financial figures. Below, you'll find a discussion of both questions. Take the Quiz: Is Custom Software Development Right for Your Business? In many cases, companies that purchase custom software see that they have a clear need for it, but they don't yet know how to calculate the financial ROI. However, moving forward with a custom software development project without a clear picture of the numbers involved is nearly always a mistake. Without an idea of what you expect to get out of the transaction, you won't know how to assess the results and won't be able to decide whether it was a successful initiative. To begin with, you need to answer the question: what are you hoping to get out of this project? Ideally, your response here should focus on the two or three most important priorities for improving your business processes, whether that's increasing profits, reducing bottlenecks or delivering a better end product. The goal here is to determine what change you will initiate in these metrics. First, determine the amount of time, cost or resource usage for the process you currently have in place. Estimate what the change to that metric will be with the addition of automation. For example, a 10 minute task for a staff member may be reduced to 2 minutes. Now determine what you'll be gaining from that change to your metric. In our example, if that 10 minute task is completed 100 times a day, you've just saved yourself 800 minutes a day. Put another way, that's 400 more times that a 2 minute task can be completed by a staff member. You can equate this savings into a dollar estimate and determine the amount of time it will take the project to pay for itself! Once you've done a thorough rundown of ROI from a financial perspective, you should also consider the potential "return on effort" of your project. This second concern incorporates all of the business benefits of custom software that are more difficult to directly assign a number. Ultimately, the goal of any business should be to serve its customers better. Depending on your business objectives, building custom software can help you do so by improving lines of communication between you and your clientele, resolving customer service questions faster and shipping products more quickly, just to name a few advantages. Employees who don't have to work overtime or on the weekends are generally happier employees, and that's what custom software for tasks like automation can help you achieve. Custom software can take over tedious, low-level, manual tasks that were previously assigned to human workers, letting them focus on higher-level, more strategic activities. When you use custom software to make your business processes more automated and standardized, you can reduce the errors in these processes as a result. The result of each step in the process requires less oversight as you gain more confidence in the software's output and incorporate it within your workflow. Quality control is less of a concern because mistakes are caught sooner in the process. If you're in a highly regulated industry, such as healthcare or finance, then compliance with the applicable laws and guidelines is extremely important. Using custom software to ensure compliance can provide you a great deal of peace of mind that everything is in order. While it isn't something that you can assign a dollar amount, most CEOs and executives would be very happy to have one less thing on their plate to deal with. Of course, the intangible ROI of meeting compliance requirements also has a very tangible ROI in that you don't have to pay fines and risk legal action. Return on investment is always an important consideration when making a purchasing decision such as custom software. However, questions about ROI aren't as clear-cut as spending a given amount and receiving another amount in profit. Intangible ROI effects include the peace of mind that the new solution will give you, the improved work-life balance for you and your employees and the knowledge that you're secure in your compliance with industry regulations. If you're curious about embarking on a custom software development project, you have to decide whether the expected results are worth what you're willing to pay. To do that, you first need to know what problems or pain points you're trying to address with this new software. Once you've done an honest assessment of your situation and needs, look at the projected numbers involved and make sure that such an investment makes financial sense. Next, look at all the intangibles and decide whether the custom software will have enough of an impact on those intangibles to be worth your time and effort.